1. Prep the shrimp and dip in tempura and deep fry for about 1 min or until the outside gets brownish. 2. Slice the cucumber into long slices, and use a peeler to peal thin avocado layers. 3.Spread the rice on the nori sheet, and flip it over the mat so that the rice is now facing upwards. 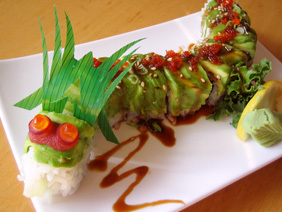 Lay the avocado the cucumber stiks you have precut, and line up some tempura shrimps and on top of that slices of eel. 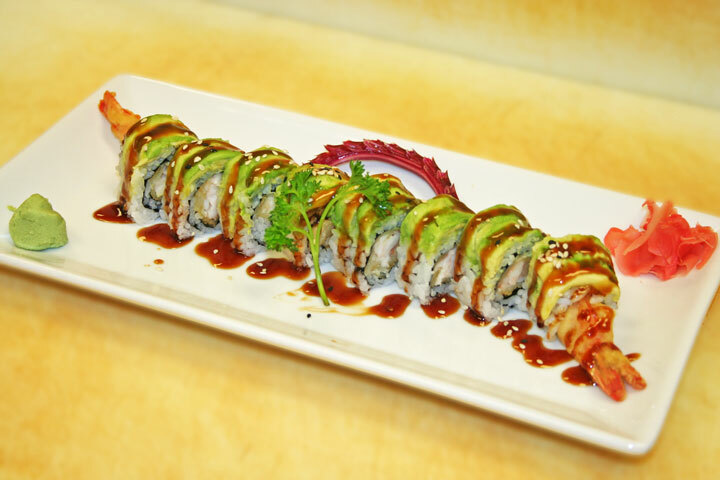 Roll it inside-out style and cut the endings, but leave the rest whole for now. 4.Elegantly, cover the top of the roll with the layers of avocado you made with the peeler, and use the bamboo matt to tighten it to the roll. 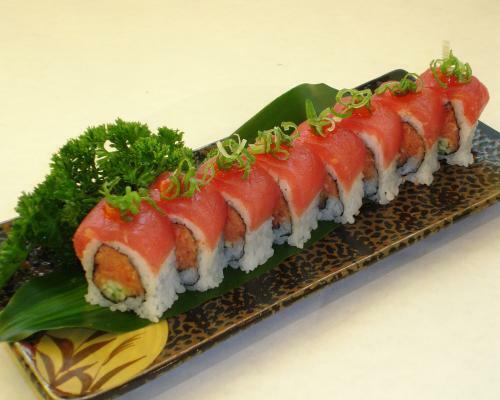 5.Use a little spoon to carefully spread some Tobiko on the roll. You can cover the intire roll with it. Now you can cut, and reline the roll in a shape of a dragon. You can use your imagination to create dragon eyes from tobiko, and dragon antennas from carrot stiks.